We resume our regular General Meetings this month on Saturday February 16, 2019 at 10:00am at Miner’s Roadhouse. Special Guests will be Nicole & Greg Little, publisher and editor, respectively, of the Mariposa Gazette. We hope to see you all at the meeting – be sure to bring your friends too! We are very excited to welcome co-owners of the Mariposa Gazette, Nicole & Greg Little, to our next general meeting. Nicole and Greg purchased the newspaper on Feb. 16, 2018 — a year ago at the time of this meeting! Nicole is president and publisher of the newspaper, overseeing the entire operation. Greg is vice-president and editor, overseeing the editorial content as well as other aspects of the business. 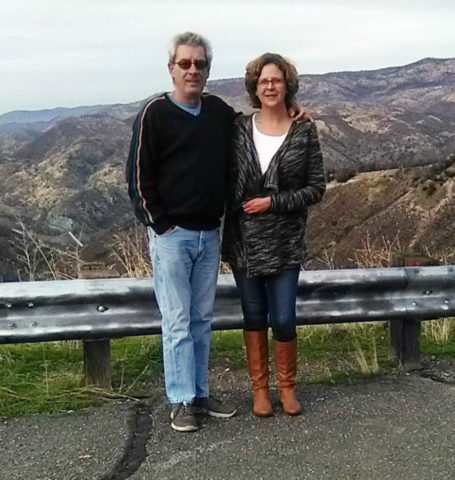 The couple came to Mariposa in March of 2016 and worked at the Gazette for almost two years before buying the business. They have one son, Price, who is a junior at Mariposa County High School and a docent at the Mariposa Museum and History Center. Greg has been in journalism his entire career, starting as a part-time sportswriter in the late 1970s in his home state of Indiana. Nicole was a graphic designer in Rock Springs, Wyoming, where the two met while working at the newspaper. Since that time and before moving to Mariposa, they both worked at newspapers in Powell, Wyoming; Covington, Tennessee; Gonzales, Texas; Honesdale, Pennsylvania; and Rexburg, Idaho. The March General Meeting will be held Saturday March 16, 2019 at 10:00am at Miner’s Roadhouse. Special Guests will be Sean Frame, founder of El Dorado Progressives and candidate for Congress, and staff of the Mariposa County Library. Our Feb 3rd and 10th Board meetings were postponed due to snow. We’ve rescheduled the meeting to Thursday February 14th at 2pm at Sweetwater Deli in Mariposa. Note this meeting may be cancelled too if board members can’t get out of their driveways. If you’d like to attend and want to check on the meeting status, call (209) 386-0186. Have a topic you’d like us to explore at a General Meeting? Have something we should add to the calendar? Have a question or concern you’d like us to explore or research? You’re always welcome to send us an email at info@progressivemariposa.org! Keep tuned in to our Facebook page, website, and these emails for the latest information and Calls to Action. Thank you all, for all that you do!